Hi peeps! It's have been almost a month since my last updated. I know some of you were like 'where have you been?!' I am truly sorry for not updating my blog, page, as well as my youtube channel. Most of you already know that i am now continuing my study here in KL. Im taking Bachelor of Science (hons) in Hotel and Restaurant Management. There are lots of things that need to be done. Final exam will start on 4th January 2014. I only got a month left to study! My gosh.... i'm so not ready for this. Homesick! Wanna go back home. I miss Kota Kinabalu. I miss Sabah! Kk, wait for me. See you on December. Oh btw, i promise i will keep on update my blog when i go back to sabah for 2 weeks holiday yay! Well, actually it's a study week, preparation for the incoming final exam. Boo! Hey atleast i still got the time to update my blog for you, right? Insya-Allah. 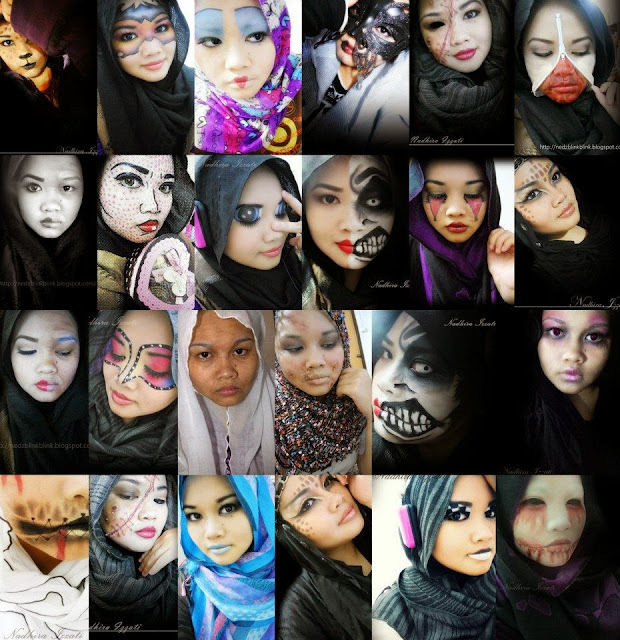 I really miss making a makeup tutorial for you girls. Oh btw, feel free to drop a comment below, or pm me in my facebook page 'Nadhira Izzati Page' regarding any question that you wanna ask me. Ok? I will reply and i always replied.